I’m big on little things when it comes to interior decorating. Choosing wall colors and arranging furniture is fun, but adding (he)art and accessories is my favorite part, and I’m so stinkin’ smiley about the pillow nestled up against back right now! Thankfully, all the food stains washed out of it- ha! 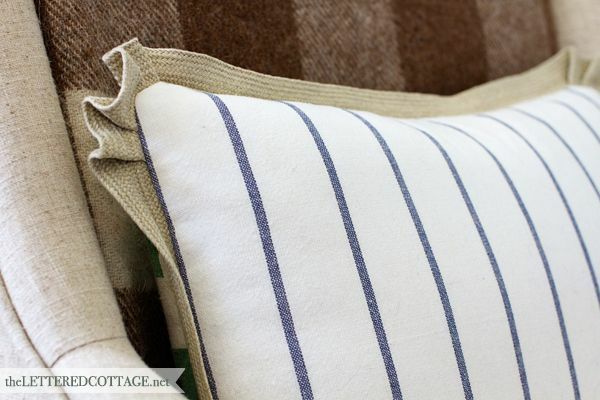 The hemp trim came from Joann Fabrics, and I love how the corners are sort of feminine-looking, while the rest of the pillow has kind of a masculine “baseball uniform” vibe to it, ya know what I mean? I’m always on a mission to make sure our environment appeals to both mine and Kev’s sensibilities, so I’m all about a nice blend of cottage-style “mister-meets-ma’am” up in here! Like most cats, he loves to be high up off the ground. The top of our piano is one of his favorite places to lounge, but I have a feeling he’s got even loftier dreams. PS- I’m hanging a random collection of old plates on the wall behind my Christmas Amaryllis today- and I look forward to blogging about them as soon as I’ve got ’em all hung up! everything you touch just turns to GOLD! i LOVE the simplicity yet boldness of this. Ooh! Did you blog about it? I’d love to check that out, Jo! Super Cute! Hey Layla, got a question!! I inherited a lovely glass fronted cabinet from my grandma who died 40 years ago. I’ve painted it white & distressed, and it’s looking great! I’d like to cover the back of it with an uber cool scrapbook paper I found, but I don’t want it to look tacky. What do you think? I’m only kind of kidding! But I love that it is one of a kind and really, just love it overall!!! Can I hire you to decorate our new house?! If you do I want one! I LOVE everything you do! Layla~ you inspire me with your decorating. I love it. You have given me such desires to decorate my own home ~thanks~. Aw, thank you Michelle! Follow your heart and have fun with it! 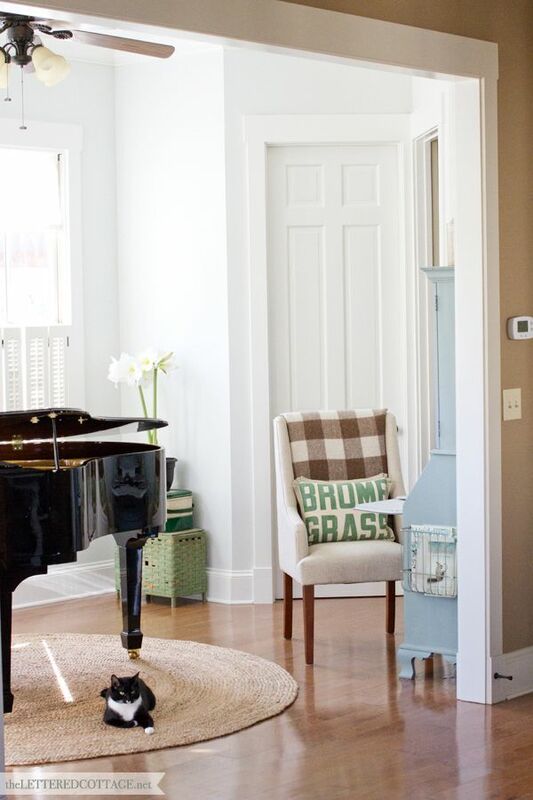 that piano in that light-filled room….sigh…!! WOW!! I love it!!! that give me inspiration with all of the flour-sack material that I have..I love the hemp trim.. I will have to check it out. I love your blog.. Your’s is the only one I usually go too!! LOL!!! I have a question for you….I have two plate racks that I want to hang in my kitchen to display my grandmothers plates…My question is the walls in my kitchen are old lath and plaster and I am not sure how is best to hang the racks so that things do not fall down…Have you had to deal with these kind of issues and how did you find it to work best? Any help would be appreciated…. I love your new office/piano room. Does Kevin play thought provoking music for you while you blog? It just looks so romantic. Neither me nor my husband got much music talent. Layla, I love the combination of colors you have going there. Can’t wait to see your random plates. Love that look and have pinned many pictures of them. Question: Does Kit-Cat scratch your rug? I have wanted to add a seagrass or other grass?? rug but worry about my cat. Love the pillow and I can’t believe the back was a dish towel! Awesome! Where did you get the adorable brown throw on the back of the chair? LOVE IT!!! I’m pinning and sharing! The pillow is great, but the Kit-Cat photos are so much fun! I have cats with lofty dreams, too! I like the pillow, but love that you used one of your dish towels for the back of it! I am also glad to see that Kit-Cat continues to do well. So cool that you guys gave Kit-Cat a home with you. LOVE the pillow 🙂 And that throw is awesome! Love the pillow! And your kitty cat! I will have to send you a picture so you can pick my presto. My house is in dire need of a make over. I mean every room needs a touch. My most important right now is my 7 yr old son’s bedroom. He is on ASD and he needs a calm inviting space. What would you recommend? Kit-Cat is looking well. I’m so glad you decided to let him stay with you guys. Can you guess, I’m a huge cat lover. Oh, I really like the pillow too. How simple & cute. I love the brown check flannel blanket/throw. I have two, one of them is just like yours, and I use it year round. They’re not easy to find. Lovely way to use the old sack! And your feline helper is such a handsome little fellow 🙂 Thanks for sharing a great idea! I love your style and am dying to create a similar look in my home. We’re moving in June so I’m holding out on making any big changes in this home but am pinning (and pining) away for the future. 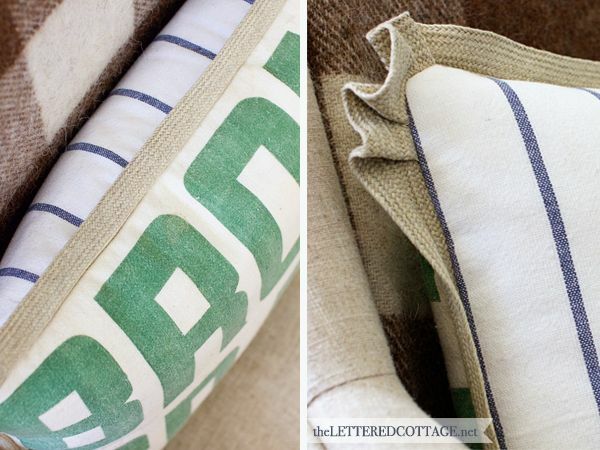 I’m planning to make slipcovers for 2 chairs and want a linen-y/grain sack fabric with a red stripe or stitch in it. Similar to the pillow with buttons thats featured in your header. I found this http://www.potterybarn.com/products/fabric-by-the-yard-pick-stitch/?pkey=cfabric-by-the-yard-furniture&cm_src=fabric-by-the-yard-furniture||NoFacet-_-NoFacet-_–_- at Pottery Barn but its a little pricey. Any sources or suggestions? I’ve used it to recover a chair seat before and was pleased with the results. 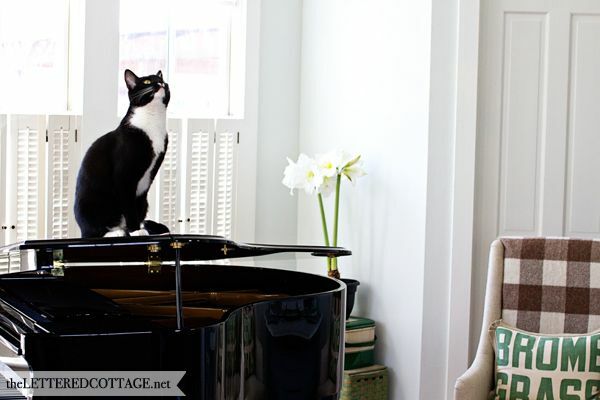 I loved the picture of Kit Cat, but I want to warn you to check for whether his landings are creating scratch marks on your beautiful piano. I have a dresser now covered with scratch marks where my beloved cat used to land when he jumped up there. The funny thing is, just before I read your post I was looking at those scratches and remembering how much I loved that cat (he went to heaven many years ago). woman, you are so creative AND talented! this is fantastic. 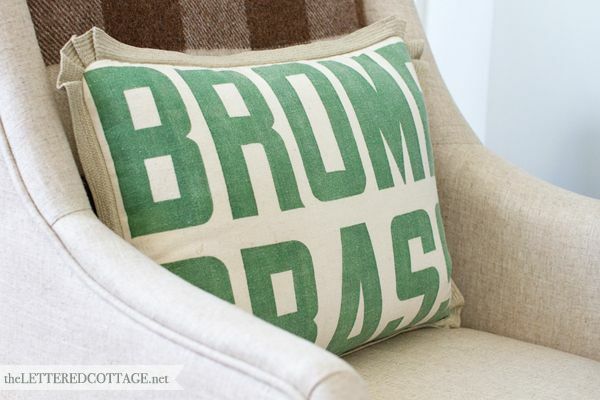 job well done…so well done that i want to go buy old burlap sacks and turn em into pillows! I love the results for this cute little project! I think Kit-Cat loves it as much as I do! That is adorable! And I love the pictures of your cat jumping… reminds me of my cat, Cali. The trim is perfect- it’s those little details that really make a piece great! The pillow is so cute. I love that you did both sides in different designs and to use the dishtowel is so great! You know I was just thinking of Kit-Cat yesterday and wondering about him! I think about Kit-Cat so often because of my embroidered Kit-Cat dish towel in my kitchen! I want to get a Kit-Cat clock one day. So glad y’all took him in and that he has done so well with your family and your dog and so happy to see him again! I love the pillow and it has inspired me. My favorite color is green and the husbands favorite color is blue! What an awesome combo. I may have to do something similar yet original also. Thanks for sharing Layla! 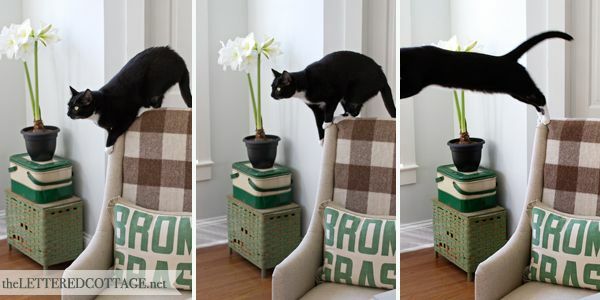 Layla, love you pillow, love your room color, love your mom’s flower gift, and love kit cat doing acrobatics on camera. I have curtains from your very ikea dish towel in my laundry room. Easy breezy clipped on metal rings. Perfect height no less. Can not wait each day to go on your adventures. Hugs. Geri. Absolutely love it. Like, love it, love it. LOVE, LOVE the pillow! (and love the pics of Kit-Cat). My tuxedo boy Oreo tries to “kill” my ceiling fan every day…I’m just waiting for him to pull that thing out of the ceiling. Kit-Cat’s gymnastics are adorable! My cat is the same way. We don’t have a lot of high spaces in our house, so we allow the un-hygenic option – his realm is the kitchen counter! I love the pillow too. It’s cute! Would love to see a step by step process of hanging the plates as I’m looking to do something like that in my kitchen! Can’t wait to see the finished product! Your blogs always seem to bring a little (Son)shine into my day. It makes me smile how God uses all of us to lift one another, and I really like the terminology of (He)art in the home. Keeps my perspective to let He and I do the fun projects in my home that will ultimately bless others, and not become boasting of my own. Can’t wait to see how sweet the plates will look. Hi there – I love the pillow and Kit Kat! 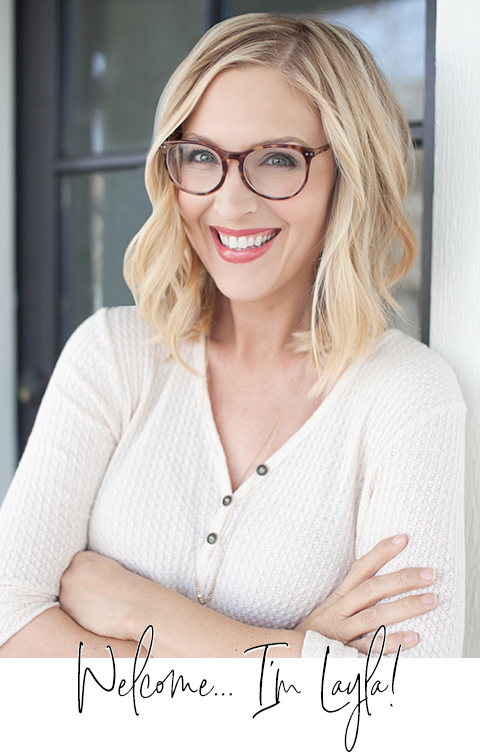 I also wanted to tell you something fun I did today because of you and all the great ideas I saw online of Random Acts of Kindness & handwritten notes! At work we are doing some renovating of our company kitchen/lunchroom and in the meantime the vending machines have been moved near my desk. I taped a dollar to a note that read, “Your snack is on me today – Happy Friday!” and I taped that to the money slot on the snack machine…then I waited. One lady walked by and said “Awww” then kept walking. Another saw it and came to my desk and said “Someone left a $ on the machine. Was it you? It sounds like something you’de do!” But I just smiled and kept quiet. Later a guy walked up…saw it…scratched his head…then lifted it up so he could slid HIS OWN DOLLAR into the machine leaving mine still taped there! Later the owner of the company saw it and went and got another lady to show her, saying how nice that would be for someone to find. But still no one used it! Feeling slightly deflated I stepped away from my desk and when I came back seconds later – it was GONE! I was sad that I didn’t get to see who the lucky snacker was – but oh well – that was never the intention, right?? Minutes later a company wide email goes out with this: THANK YOU FOR MY SNACK. HAPPY FRIDAY TO YOU TOO!! From a sweet lady (who just recently lost her daughter). Layla – my heart is filled with joy! Thank you for the nudge.